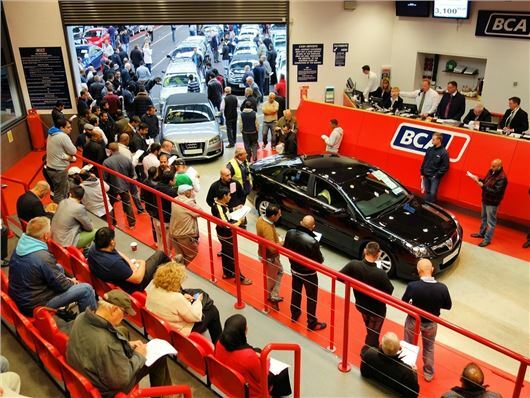 Data from British Car Auctions has shown that the average price of a used car crossing the block rose by £692 (11 per cent) in September, while the average value of vehicles sold by fleet and leasing companies tipped above £9000 for the first time on record. The average price of a used car at auction is now £7007, considerably higher than the £6252 you’d expect to pay in 2012. Average mileage of vehicles sold also fell by 1500 miles, while the age of cars sold remained static at just five years old. Dealers also saw the value of part-exchange vehicles reach record levels, with average values over 20 per cent higher than a year ago. The BCA report – based on prices achieved at its auctions – shows that average prices experienced a marginal decrease compared to August (0.4 per cent) but remained well ahead in year on year comparisons. It’s believed the rising values are largely attributed to stock shortages, although the September plate change could impact prices when it filters through to the used market in October. Simon Henstock, BCA’s Operations Director said: ‘September proved to be an exceptionally strong month at BCA, with average values well ahead year-on-year. And despite volumes beginning to rise towards the end of the month, demand outstripped supply comprehensively throughout September.